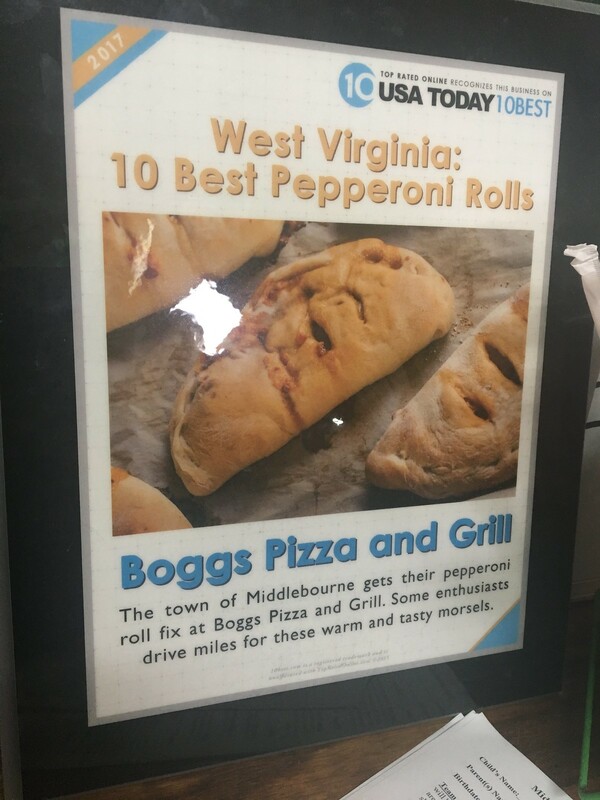 Boggs Pizza & Grill in Middlebourne found itself on USA Today's 10Best Pepperoni Rolls recently. 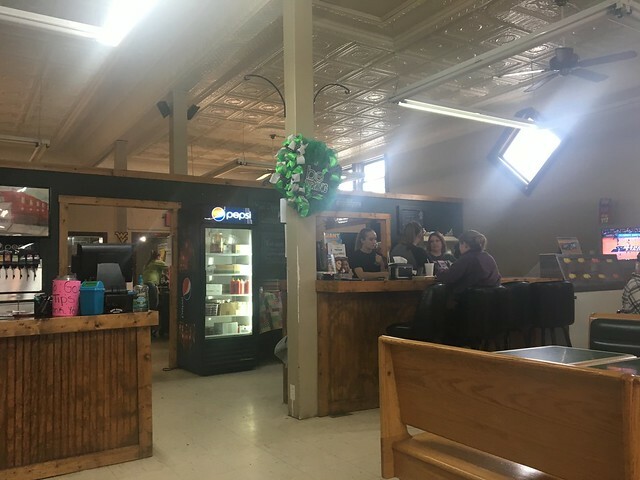 It came in at a respectable 4th place, which surprised me since I hadn't heard of this place before then. 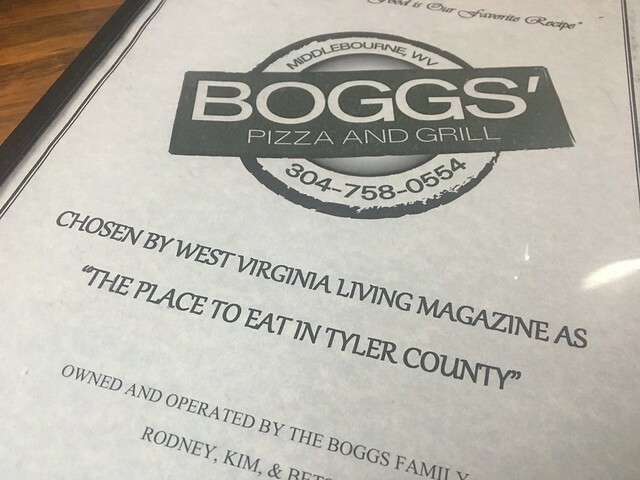 Well, I recently made a trip here just to try their pepperoni roll. 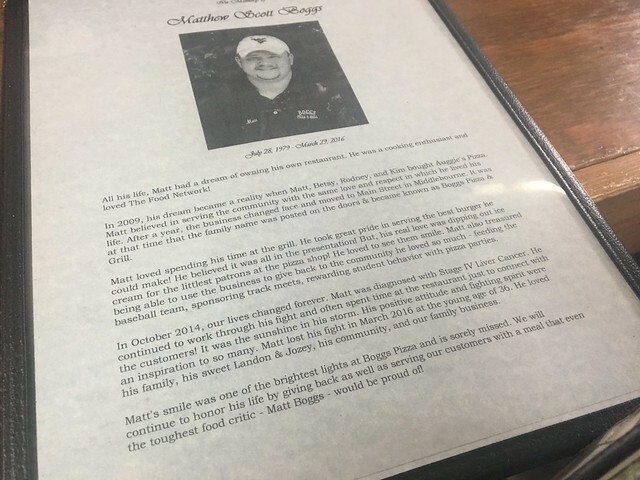 And, I learned the restaurant is a family name, and you can read more about it on the menu. 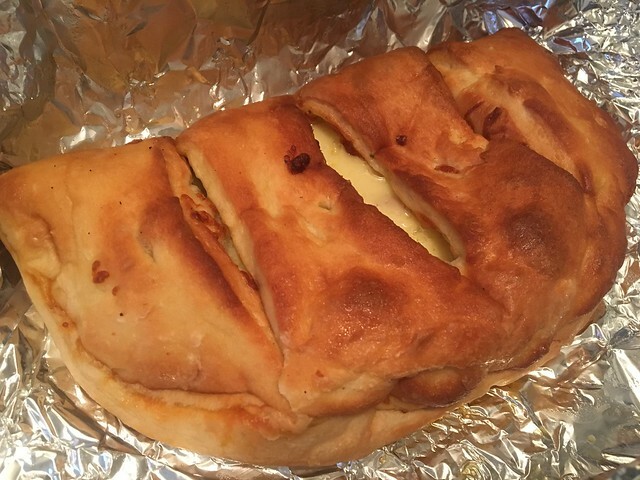 Sometimes, I hear the argument that when you start adding stuff to a pepperoni roll, it becomes a stromboli or calzone. 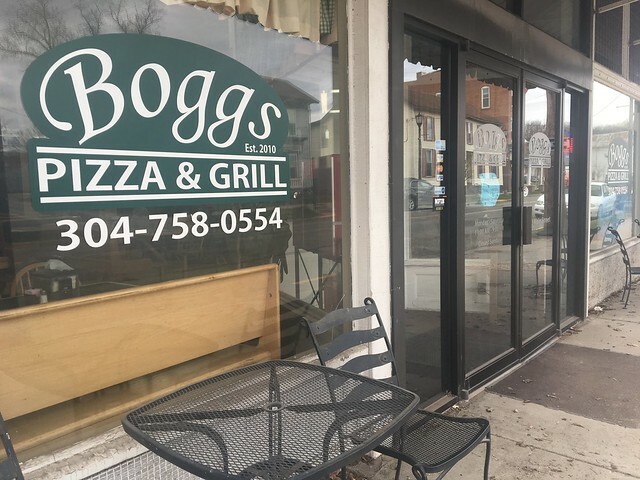 At Boggs, you can order additional ingredients, but just the regular pepperoni and cheese looks pretty similar to a stromboli/calzone! 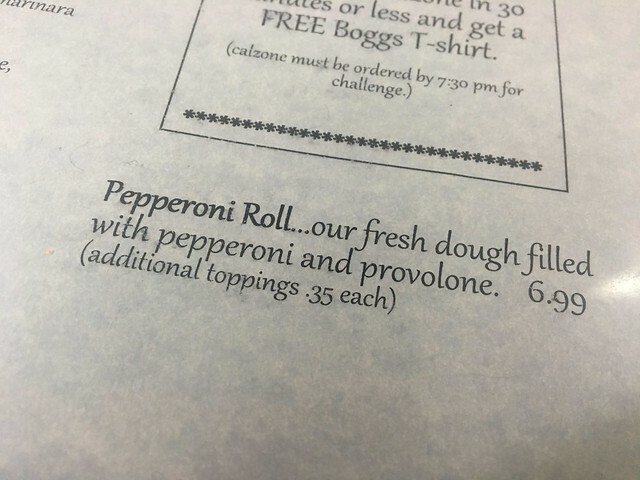 So, I can easily say this is one of the larger pepperoni rolls I've ever had. Have you tried it?